Welcome! We are so glad you found us. Hopefully, Pastor Josh’s video above gave you an introduction to what Highrock Brookline is all about. Pastor Josh is currently on sabbatical until October 2nd, 2018, and will be eager to meet you after his return! In the meantime I am looking forward to meeting you in person at Connection Time after service. Join us for any of our Sunday worship services as we gather together to worship as a community looking to be inspired by God's word. Since May 2018, we started to worship together with Mars Hill Fellowship Church. You can learn more about our partnership here. After the service, come sit in at thje Orange Table, where our leaders will be waiting to meet you! Head to our Visit page for information about service times, locations, children’s programs, and more! Most Sundays (unless announced) we share a community meal after service. Everyone is welcome and it's free! There's always something going on at Highrock! See below for our weekly happenings, and check our our calendar & news pages to stay up to date. Ohana Groups are our small groups where we gather together for study, prayer, fellowship and often food. Groups meet at various times and locations in Brookline and beyond. 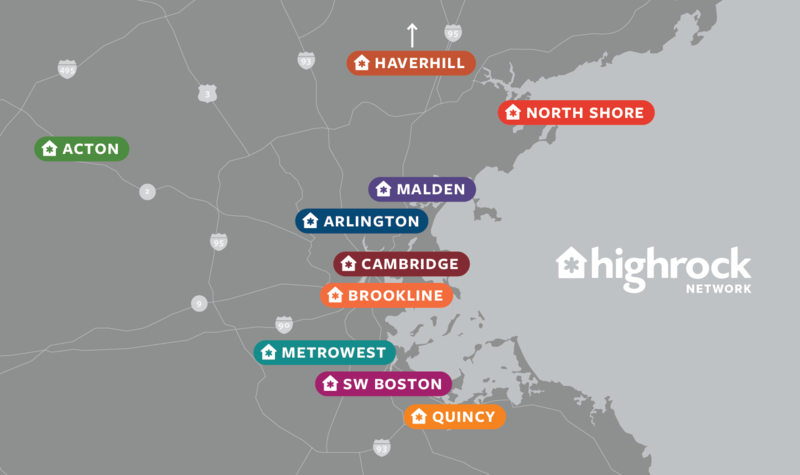 Email hello@highrockbrookline.org to get connected to an Ohana. Join us each Sunday morning before service as we pray for our church and our community. If you have questions about how to move forward in your relationship with God, with God’s people, or getting more involved/connected at Highrock, please get on Pathways. You can meet with the Pathways Team on Sunday mornings, or Pathways meetings announced during the service. For questions, please email pathways@highrockbrookline.org. Want to know what time services start? How to get here and where to park? Sunday programming for kids? Here are the different ways you can get in touch with us.